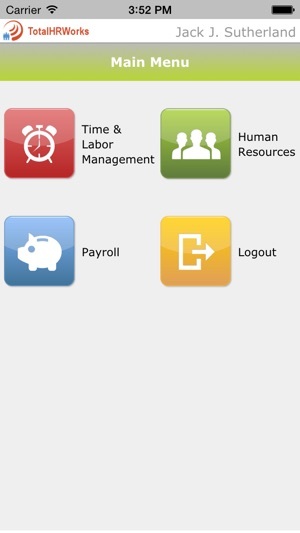 TotalHRWorks is a cutting-edge 3-in-1 workforce management app that includes HR, Payroll, and Time and Attendance. 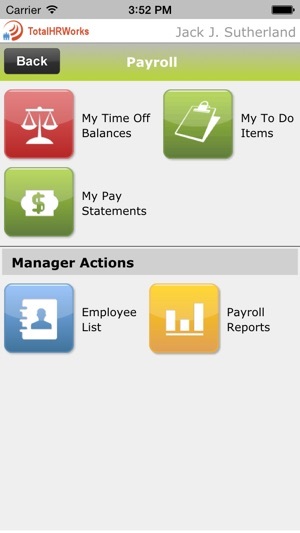 The app allows managers and employees to address workforce management needs at any time and from anywhere. 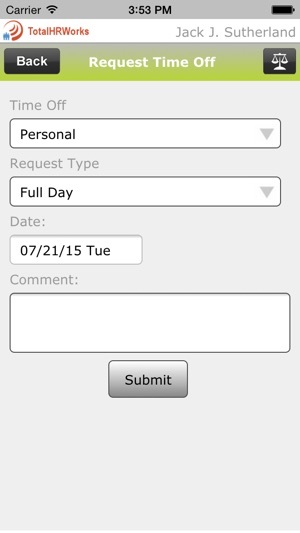 The application reinvents the way companies and employees manage business processes from their smartphones. Both employees and managers are able to use the application in a multitude of ways to increase productivity and efficiency. TotalHRWorks, powered by SaaShr, works in sync with your workforce management suite, and comes with the same level of industry-leading data security that you’ve trusted in the past. 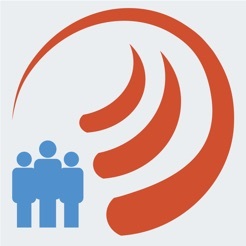 Note - This app is available to the entire user community of SaaShr channel partners. 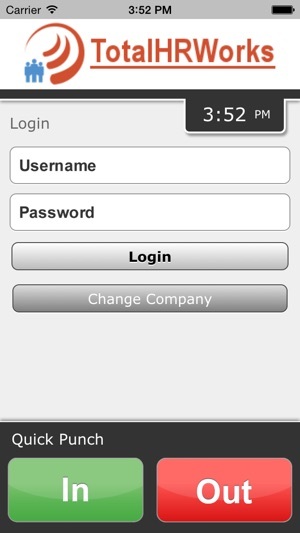 A valid username and password are required to use this app. This app can be sort of efficient WHEN ITS ACTUALLY WORKING. (Which is almost never). Even when I enter my correct User/Pass, I’m not able to log in because it’s “invalid”. So I end up changing my password, receiving a new one and STILL not being able to log in. What’s that good for? Another thing- we are in 2018, where many advances to logging in have been made such as Touch ID/Face ID and an option to Remember User/Pass for the App. Every time logging in and out, you need to enter those in manually. It should be quick and simple. Instead it is annoying and I wish I didn’t have to use it! The App itself looks really outdated. I feel like I’m using an iPhone 4 with iOS from years ago. 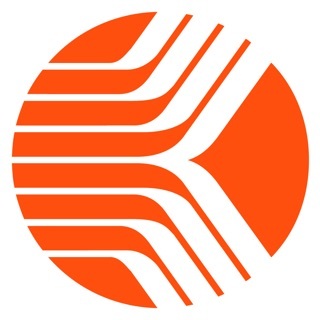 Major inconvenience using this App when there are so many difficulties that come with it. It needs updating and proper maintenance, which it looks like it hasn’t gotten since I started using it. I wouldn’t care if I didn’t need to use it to clock in and out everyday, but since I do, I hope something is done to fix this terrible, inconvenient, unorganized App. The app is super easy to use and navigate! Thanks to the company I work for they helped me set up my account and looking over my schedule has never been easier! Plus the convenience of being able to request time off whenever. I do however think that the design of the app is outdated. Their is no option for Touch ID/Face ID, the screen ratio is off if you have any of the larger screen iPhones. Will we be seeing any updates to have it optimized for the iPhone X models? Gives access to see my schedule, make edits for my employees (i.e. add missed punches), and request time off. Really simple interface that almost makes it seem outdated. Being that mobile apps are supposed to have some aspect of convenience I would like to see a Touch ID feature and a calendar sync. I've used other apps like this and they've all had a calendar sync. Without it, this app isn't that valuable to me.